What are the specific Denver laws that will affect my divorce? Do I need to be a Colorado resident to get a divorce? How long will it take? How often will I need to go to court, and where? What will happen to the side business that I run, or our home, or any other assets we own? Who will have custody of my children? What if my spouse wants to move out of state after the divorce? How can I support myself financially? Will my former spouse be required to pay alimony? What should I do if I’m being threatened by my spouse because I want to leave? Should I try mediation or a collaborative divorce? Each person’s situation is unique. Your divorce will have specific aspects that another person’s divorce will not. This is why hiring an attorney with extensive experience is so important. 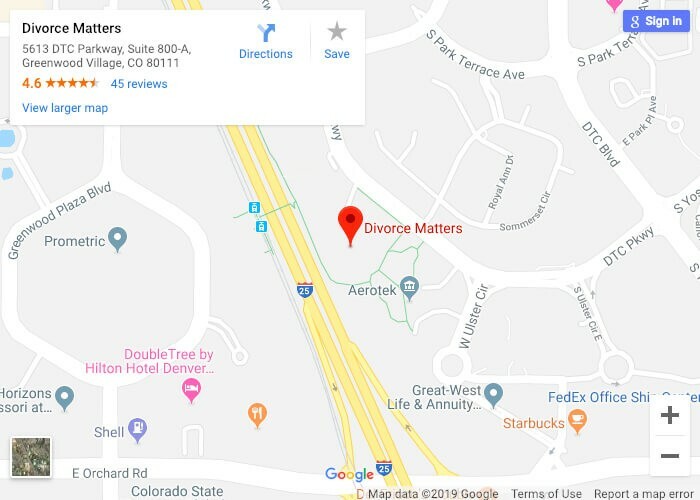 Our team at Divorce Matters has helped over 1,000 families across Colorado get past their divorce and on to a fresh start. 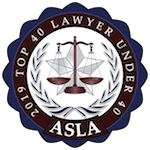 Each attorney at our firm is deeply familiar with all of the potential variables that may be at play in your situation, as well as the nuances of Colorado state law. We are committed to being strong, but compassionate, advocates for you. We can offer guidance through all the legal aspects of your divorce, including: mediation, asset distribution, child custody agreements, child support arrangements, and alimony obligations. We can answer the daunting questions you have and help craft a creative solution to ensure a stable future. We understand this is one of the most difficult times of your life, but there is hope after divorce. Let our team help you reach your goals, protect your well-being, and create a better future for you. It is our mission to be the premier divorce law firm in the Denver metro area by providing an exceptional client experience. Our team is uniquely qualified to provide strategic and focused leadership to navigate our clients through the legal process. We specialize in applying energetic and creative solutions to help achieve the best possible outcome for our divorce clients. You can take the first step today by scheduling a comprehensive strategy session with an attorney at our office. We will look at the unique details of your case and help give you some initial direction. You can fill out the form on this page or call us to get the appointment set up. Divorce Matters is pleased to offer our 2nd Annual Divorce Matters Scholarship. This scholarship is available to high school seniors and current college students who have been personally affected by a divorce. At our law firm, we know life gets complicated and that divorce is sometimes necessary. Our goal is to help students affected by divorce afford a better education. Funds will be sent directly to the school you will be attending. You will be attending an accredited 4-year college/university or a 2-year community college for Fall 2019. You have a GPA of 3.4 or higher. You must submit a 500-word essay explaining answering the following question: Divorce can be an extremely tumultuous time for everyone in the family. Can you talk about a mentor in your life who helped you through this time and how they've helped shape you into who you are today?. Employees of Divorce Matters and their direct family members are not eligible to apply. *Although not required, applicants are encouraged to submit recommendation letters and/or resumes to substantiate their application for consideration. **Additional weight will be given to applications from students who are Colorado residents, or who are planning on attending a Colorado school.